I have a daughter that quilts among many of her talents, and one day while on the phone I mentioned a fabric I had been looking at. She immediately looks it up while still talking to me about quilting. “That is really cool. I like that also,” she says. A few months later I received two fat quarter selections of Bijoux from my daughters for my birthday. After squealing with delight that she remembered this collection, and my girls were so thoughtful I immediately decided it would be a quilt. I ordered the necessary fabrics to complete the quilt and started cutting. Except for the backing fabric which I knew I would use because it was too beautiful to cut up. The pattern is a combination of a block on the Bari J website and my own design for the balance of the quilt. 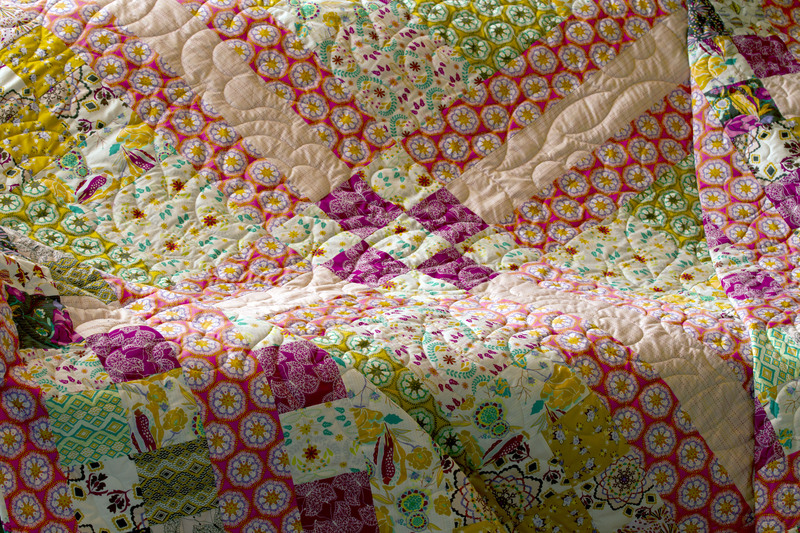 I have this quilt folded on the end of the guest room king bed. 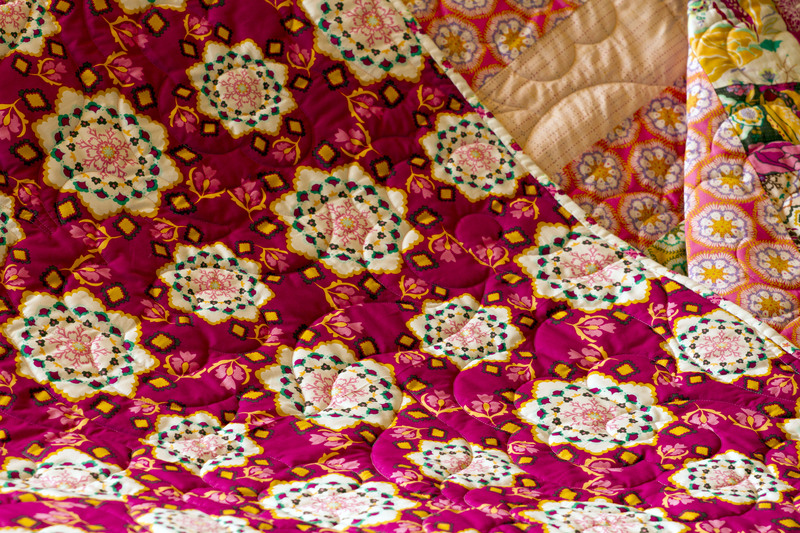 The fabrics are amazing and made a beautiful quilt. 08 Feb	This entry was published on February 8, 2014 at 9:26 pm. It’s filed under Quilting at the Cottage and tagged Bari J Fabric, Bijoux, quilt, quilting, sewing. Bookmark the permalink. Follow any comments here with the RSS feed for this post. The colors are so pretty. Thanks for sharing. It looks lovely. Loved the story e / this as much as the fabric / quilt!